Perfect to wear with any apparel, the easy style of the bangles each astonishing and complex. 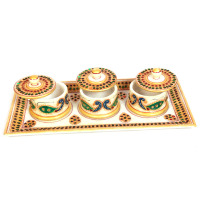 The bangles area unit obtainable in 3 completely different sizes good to suit nearly any woman. 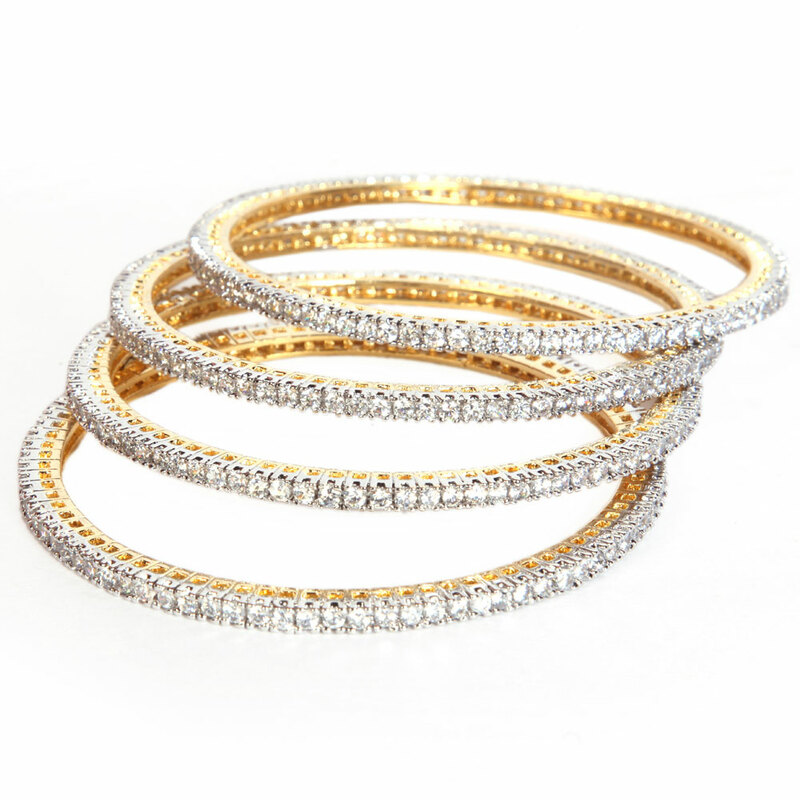 The set of four designer bangles adorned with brilliant white AD stones offers and elegant look that suits all occasions. Perfect to wear with any Read More..attire, the simple design of the bangles both astonishing and sophisticated. The bangles are available in three different sizes perfect to fit almost any woman’s wrist. Show Less..